Tickets for Little Big Shots shorts as part of CHIFF (Chidlren's International Film Festival) are now on sale. Features, shorts, workshops, panel discussions and special events. Book your family's tickets now! See you all at the festival. In 2019 now, more than ever, Little Big Shots needs your help to make the festival shine. If you'd like to know more go to our donations page HERE. Or contact me directly. This year, our 15th b'day we want you to be part of the LBS team. The 2018 LBS Session Timetable is now available here. Print out before you come, or they're available now in hardcopy at ACMI. All the films from this year's festival are now online and can be viewed here. Stayed tuned for more information about the 2018 schedule of screenings and other activities during the event. Tickets will be on sale after Easter. The standard deadline for LBS 2018 will pass this coming weekend on Sunday 17th Dec. Calling all filmmakers. Get your entries in before the price doubles up to the final (late) deadline on Dec 31st. The standard and late deadlines for LBS 2018 are fast approach. Time to get your skates on filmmakers of all ages. Enter now before it's too late. Entry is via FilmFreeway here. Get those films in and good luck everyone. The program will be decided by Jan 29 2018. LBS 2018 Submissions Deadline Almost Here! Print form here or download as PDF from here. Or save a tree and get the Word version here. New 2017 Survey Form Now Available! In partnership with our great friends at ACMI, we're announcing a special Family VR Workshop event on Sat 10 June from 1-3pm. Prices are Full $35 / Concession $30 / ACMI Members $28. Go to https://www.acmi.net.au/events/family-virtual-reality-creation/ to check out all the details and book your family in for the fabulous, fun-filled event. Little Big Shots supports the Save Kids TV campaign. This message is brought to you on behalf of the Save Kids TV team. Australian Kids TV is in a fight for its life. Commercial television broadcasters want their obligations to Australian children abolished. A campaign has been launched to #savekidstv. You can help by becoming a Kids TV Ambassador! Our new poster is almost ready to head to the printers. Keep an eye out for it, but here's what it'll look like on the front and the schedule of screenings on the back. The new program for Little Big Shots 2017 is now up on the LBS website. 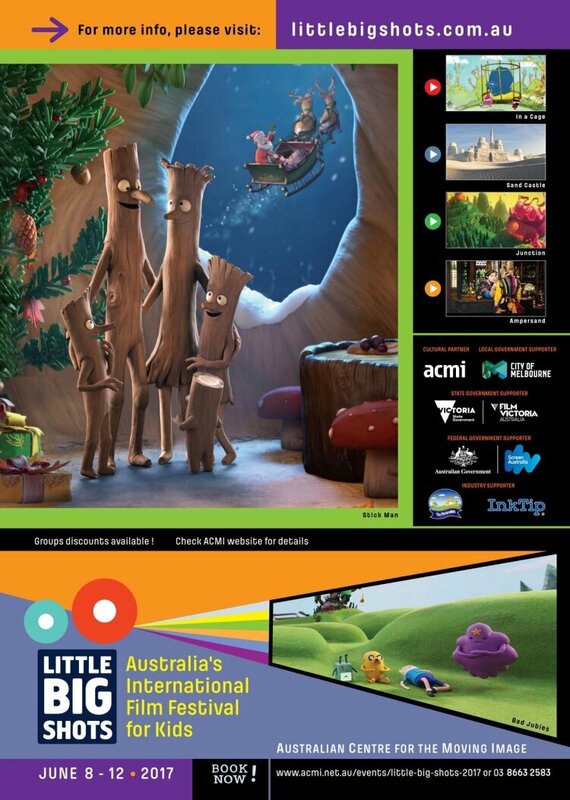 Go to https://www.littlebigshots.com.au/program/2017-2018 to check out the 83 fantastic films we have lined up for kids and families at this year's festival. The event runs from June 8 to 12 at the Australian Centre for the Moving Image. Tickets will be on sale by the end of March. Sign up to our newsletter and follow us on Facebook, Twitter and Instagram to get all the details. Together let's make LBS 2017 #thebestyearever. LBS 2017 Program Now Up! from scripts and writers found on InkTip. 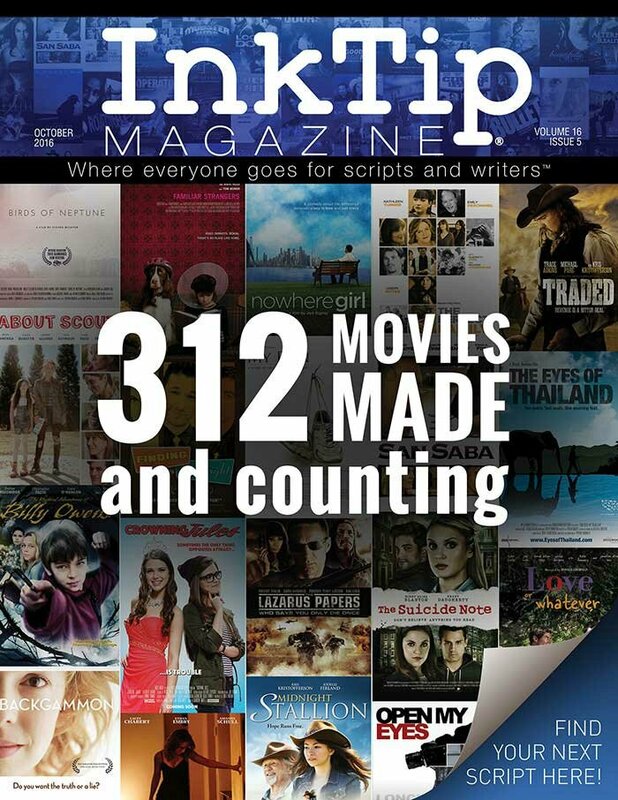 Every week producers option or buy an average of 5 more scripts from InkTip writers. 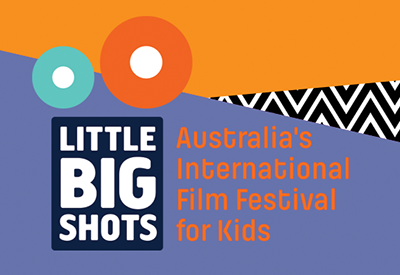 As we approach the end of this financial year and in a year that has seen Arts funding across the country grow increasingly unstable, Little Big Shots would like to ask you to look deep into your hearts and help us support the next generation of Australian filmmakers. The second and final deadline for film submissions to the 2019 Little Big Shots Festival is now only ten days away (Feb 28th). To enter your film go to our FilmFreeway portal at https://filmfreeway.com/LittleBigShotsInternationalFilmFestivalForKids. This year's program will be released in early March. Good luck everyone. This year is our 15th birthday and it's looking awesome. Tickets are now live and on sale for our brand new venue in Western Sydney rom 12th to 14th Oct.
Buy now to reserve your family's seats! There's more info on the venue at the LBS website too. Go here for that page. Thanks the CPAC Director and his wonderful team for all their efforts in making this a reality. See you all in the West in October. You can now download the 2018 LBS Survey. 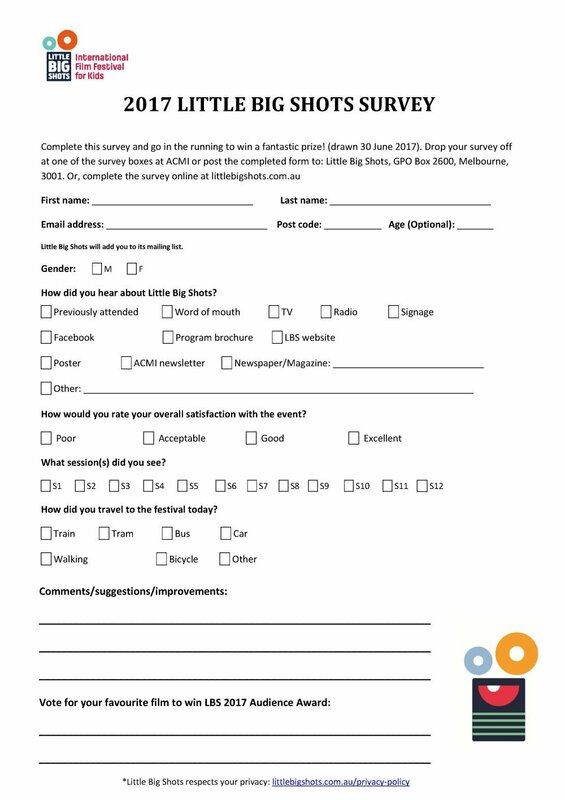 Fill it out after your family's screening and drop it in one of the clearly marked survey boxes, but upstairs at the cinema level and downstairs at the KBS, or down at the LBS Media Wall on the ACMI balcony. By entering you go into the draw automatically for a great prize (drawn at the end of June). Entries must be submitted at the festival, or mailed to; LBS Survey Prize Draw, GPO Box 2600, Melbourne VIC 3001 by Friday 15 June. Put your favourite films at the bottom of the page and kids can write reviews on the back. Tickets are now on sale for Little Big Shots 2018. Australia's Internation Festival for Kids. You buy online, or in person at the Australian Centre for the Moving Image in Federation Square. Fantastic films for all the family, from across the globe. Dates are June 6 - 11 over the Queen's Birthday long weekend (Wed & Thurs June 6/7 school shows only). The new trailer for Little Big Shots 2017 is now ready. View the finish version here. Tell everyone you know! Let's make this festival the biggest and best ever! Tickets are now on sale! Go here to book yours before we sell out! Announcing our special feature presentation for 2017! All LBS T-shirt stock now on sale. Go to the LBS Shop here to check out the bargains and support the festival at the same time. 2017 Grand LBS T-shirt Sale Now On!